I recently bought the latest issue (July) of Digit Magazine (India) for two reasons: It has a cover story on Big Data. The second reason is a little book titled “Fast Track” series that comes with the magazine. The July edition of Fast Track is themed on E-learning apps and MOOCs (Massive Open Online Courses). It helpfully reviews all the popular MOOCs and some great e-learning apps, that you can download on your smartphone — for learning on the go. And when I registered at Coursera and other MOOCs, I wondered why Indian Universities and colleges are not doing MOOCs. We have had distance learning and correspondence courses (such as IGNOU) for years, and MOOCs are the next level in self-learning. MOOCs such as Coursera offer a variety of university-linked courses, some with the official university certification. Now I am also told that Indians staying in India are yet to cultivate that habit of self-learning, preferring to learn in a real classroom, with a real teacher, and a real blackboard. But that notion is beginning to change. I am seeing certain private classes in my city (Mumbai) successfully implementing virtual learning systems. Now private classes and tutorial institutions are doing roaring business in India, taking advantage of the country’s sloppy education system. So if I can learn from the comfort of my bedroom and watch re-runs of a recorded classroom session — that beats rushing out to a late evening class, clashing with crowds in public transport on the way. Today’s generation is lucky to have the Internet, smart phones and e-learning apps, and tech that enables virtual classrooms. So I do hope that our youth take advantage of this, and keep learning. It is shocking to read media reports about State Governments giving away laptops and tablets for free. And these are being misused by our youth. If state governments think they can boost literacy in their state by giving students free laptops, they are wasting their funds. Instead, use that money to build more schools and improve infrastructure. Increase the salaries of teachers (who are paid a pittance, or do not receive their salaries for months). The free devices should come loaded with e-learning apps and subsidized e-learning services, so that our youth can immediately start learning. And do block all those unproductive sites. I truly believe that if one stops learning, their value in an ever-changing industry starts to decline. And they would soon be extinct, outmoded, redundant and then jobless. If you ever reach that stage, you have only yourself to blame. Because, like the Dinosaurs, you just didn’t evolve and survive. (Yes I know, it was something else that made the dinosaurs extinct). Are you self-learning like Satya Nadella? 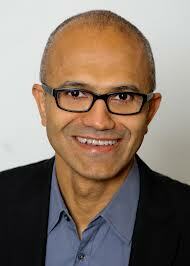 I was thrilled to read the news about the appointment of Microsoft CEO Satya Nadella. And I read this news late at night, on my mobile phone, and again next morning in the newspaper. The thing about Nadella is that he is in a process of continual learning, always driving himself to learn new things. And that’s what keeps the mind sharp. So you should be a learner for life. Today’s generation is lucky to have a plethora of learning resources at its disposal. And these are not limited to the confines of a library or classroom. There are plenty of free and paid online courses. Let me talk about my own experiences. While studying Digital Marketing at NIIT last year, I was often referred to certain videos on YouTube. In fact, I learned a great deal about Google Analytics on YouTube! I have to say that YouTube is one of the best online learning resources, that offers the shortest learning curve. On YouTube there are videos that teach you how to fix or build things. There are videos that show how to design websites, repair PCs, debug software, learn programming techniques, and there are numerous other topics ranging from photography & gardening to leadership & management. Watch a 10 minute video on YouTube — or read a 200 page Dummies book to learn the same thing. What would you prefer? While YouTube is a free resource, you shouldn’t dismiss paid resources, which have really good tutorials on a variety of subjects. A good one that I recently discovered is Lynda.com. For a flat monthly fee of $25 (approximately Rs 1,500), you get access to unlimited courses — all you can eat for a flat price. And the fee is settled through your credit card; you can cancel the charge from the next billing cycle. And Lynda.com has an app too, so you can log in using any device, from anywhere and pick up where you last stopped. I’m currently using Lynda.com to hone my WordPress skills. But I’ve also bookmarked courses on digital photography, photo & video editing — which I’ll complete sooner or later. If you want industry recognized certification, try Skillsoft.com. They offer Cisco, Microsoft and other certifications. Read my interview with Skillsoft VP John Ambrose here. Another good (free) resource for courses is Coursera.org. But I must forewarn you that they offer more academically-oriented courses from various universities. So if you want to brush up your statistics, calculus, engineering, language, history, chemistry etc, Coursera’s the place to learn online. However, they also offer courses for other topics such as songwriting, music production, Equine nutrition, gamification, decision-making, and courses in other diverse categories. The great thing about Coursera is that these courses come from reputed universities and are backed by certifications. Also try out Khan Academy. If you don’t have time for an online course and just want reference material that quickly explains a concept, then look up sites like About.com, Wikihow.com, eHow.com, Howstuffworks.com and of course, the mother of them all — Wikipedia.org. And then, there are specialized sites like Dictionary.com, Thesaurus.com and Grammarly.com. I haven’t talked about books so far, but these days you have plenty of resources for e-books online. Apart from Amazon.com (and the Kindles) you could also look up Project Gutenberg. In these times when jobs are hard to come by, the best thing you could do for yourself, is to learn something new each day. Why wait for instructor-led training (offered by your company) when you can learn by yourself, at your own pace? Go online and sign up now!